The U.S. Air Force Thunderbirds featured a tribute to Ashley on one of their aircraft at the 2014 Thunder Over the Valley air show. 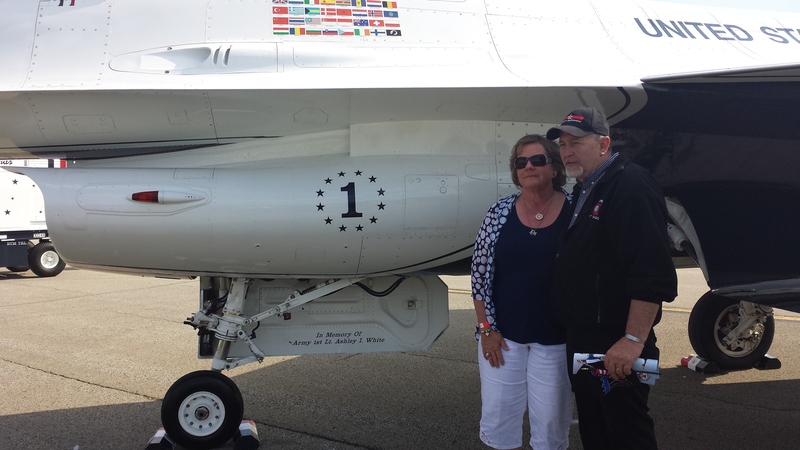 This event was held at Youngstown Air Reserve Station in Vienna, OH on May 17th and 18th. This was the Thunderbirds only performance in Ohio in 2014. Flags of Honor in Parma, OH in May 2014. 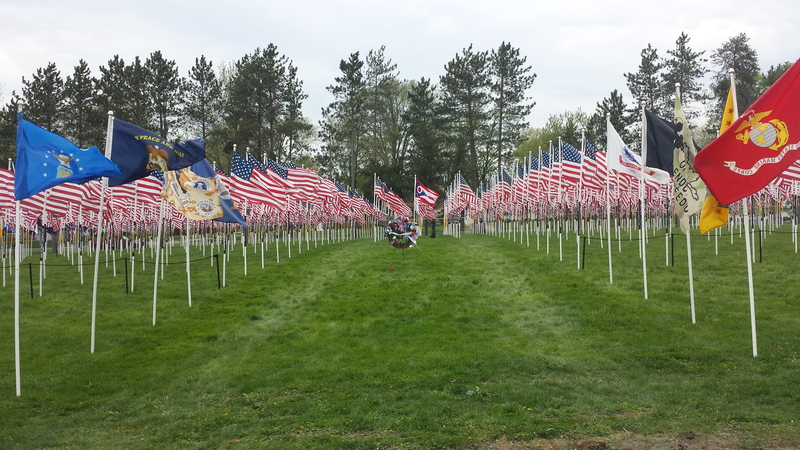 Ashley was remembered at a Flags of Honor ceremony on May 9, 2014 in Parma, OH. The Ohio Flags of Honor Foundation was started by Gino and Lisa Zimmer, parents of Specialist Nicholaus E. Zimmer, U.S. Army. Nick was killed in Kufa, Iraq in May of 2004. The Zimmer family established the Operation Iraqi Freedom Chopper Fund (OIFCF), a non-profit 501(c)(3) organization as a result of the gratitude they felt for the overwhelming support of veterans’ motorcycle clubs and organizations in attendance at the funeral. You can learn more about Gino and Lisa’s organization by visiting their website. 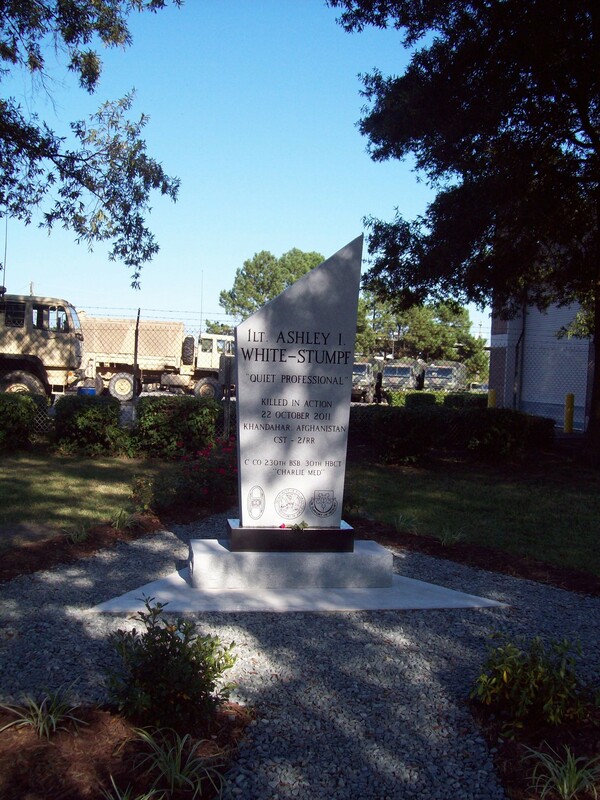 Friends and family of the 230th Brigade Support Battalion, 30th Heavy Brigade Combat Team of the North Carolina National Guard constructed a memorial to honor Ashley. This memorial is located at the Unit’s headquarters in Goldsboro, NC. An article about the monument’s dedication in September 2014 can be read here. 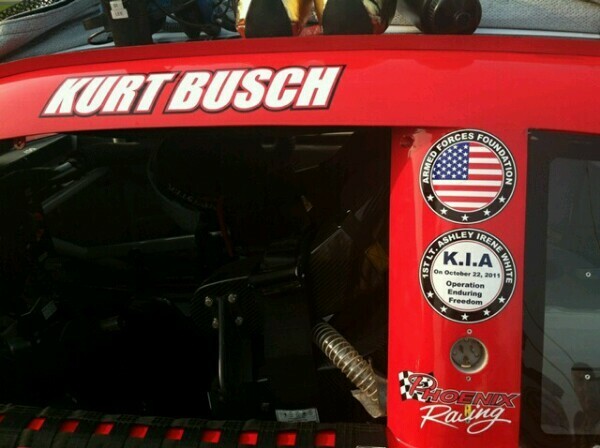 #51 Phoenix Racing NASCAR driven by Kurt Busch at Kentucky on June 30, 2012 that honored Ashley. Ashley was honored by the Armed Forces Foundation at the June 30, 2012 Quaker State 400 NASCAR Sprint Cup race at Kentucky Speedway with a sticker on the Phoenix Racing #51 driven by Kurt Busch. Visit the Armed Forces Foundation website here. 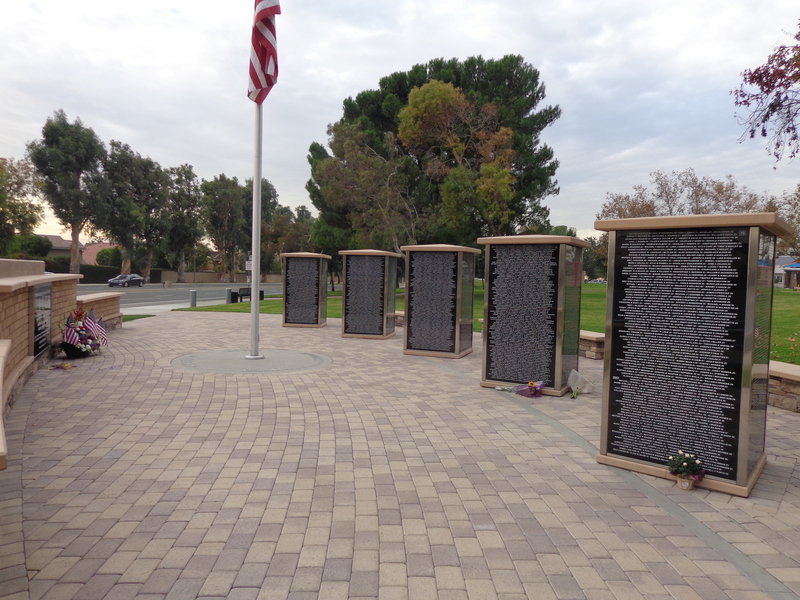 A portion of the Northwood Gratitude and Honor Memorial in Irvine, CA. Ashley is listed among the names of fallen U.S. service members at the Northwood Gratitude and Honor Memorial in Irvine, CA. This was the first memorial to honor U.S. service members who were killed while serving in Afghanistan and Iraq. This plaque hangs in the main classroom of the Kent State University athletic training program. The Kent State University athletic education training program honored Ashley with a plaque in their main classroom.